Travertine is a terrestrial sedimentary rock, formed by a process of rapid precipitation of calcium carbonate at the mouth of hot springs or in limestone caves. 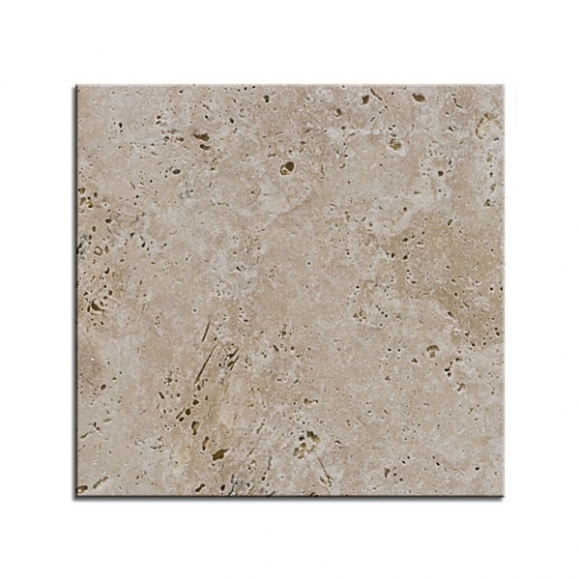 Travertine often has a fibrous or concentric appearance and exists in white, tan, cream-colored, and rusty varieties. 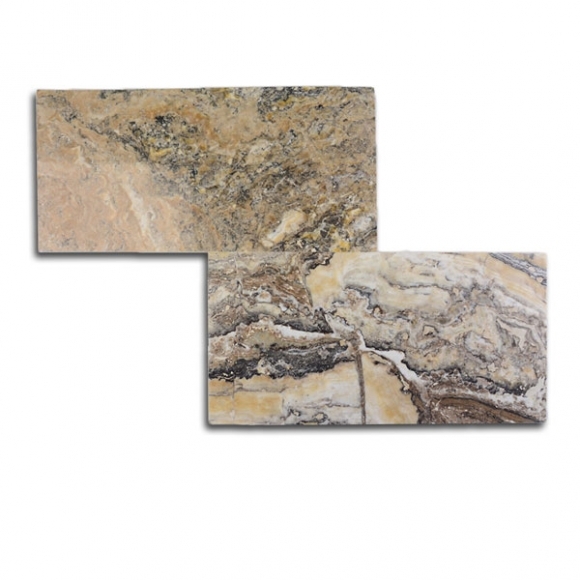 This natural stone brings unique warmth to kitchens, living spaces, and bathrooms. 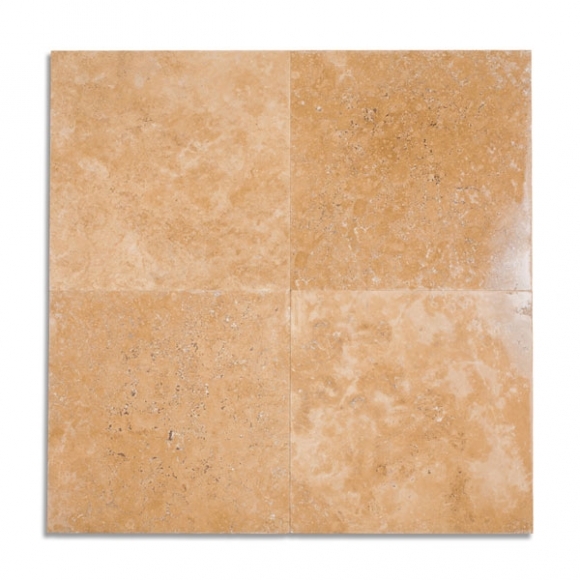 Travertine is frequently used in modern homes as a natural and sturdy building material. The key difference between travertine and other natural stones lies in the process of formation of the rock, a hardness of the stone and its appearance. 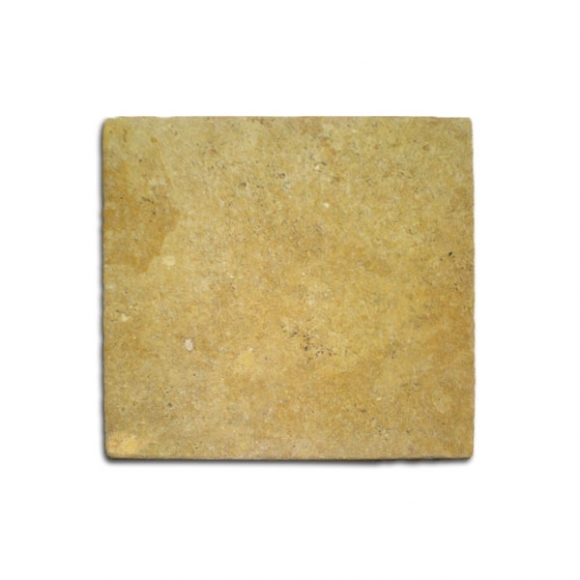 Key characteristics of travertine are the holes within the stone caused by escaping carbon dioxide. The holes in travertine determine its grade. Far from making them less desirable, these holes and pits add to the beauty and appeal of travertine. 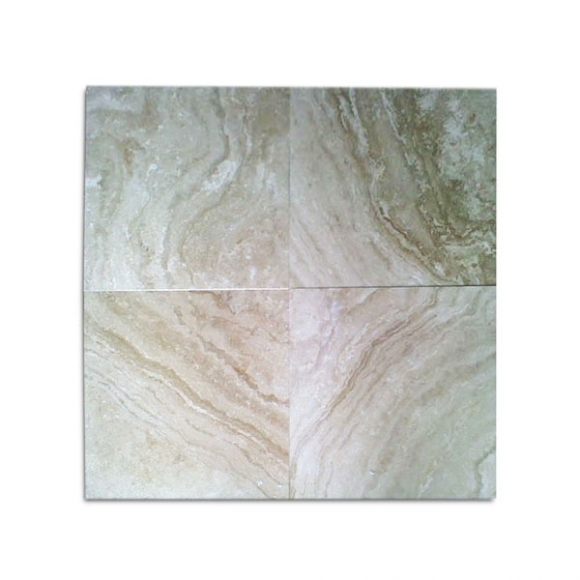 Travertine is a natural stone and hence, not uniform like man-made materials. Each tile is uniquely crafted by nature with random striking patterns, pits, and distinctive veining. 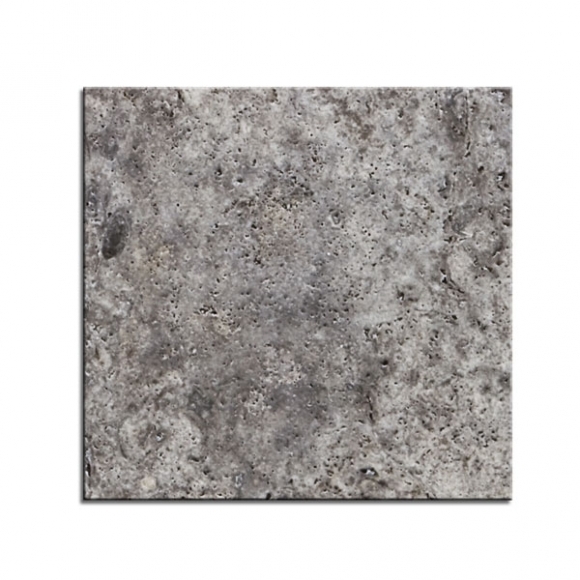 A travertine tile may have a matte or glossy finish. Options include filled and honed, unfilled honed, brushed, tumbled and polished. Travertine flooring can create a timeless, classic looking interior floor, paved patio or a rustic garden path. 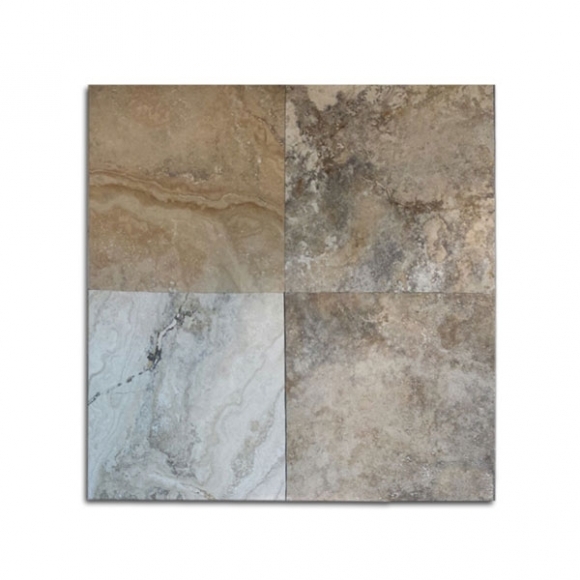 Travertine tile flooring comes in assorted color variations. 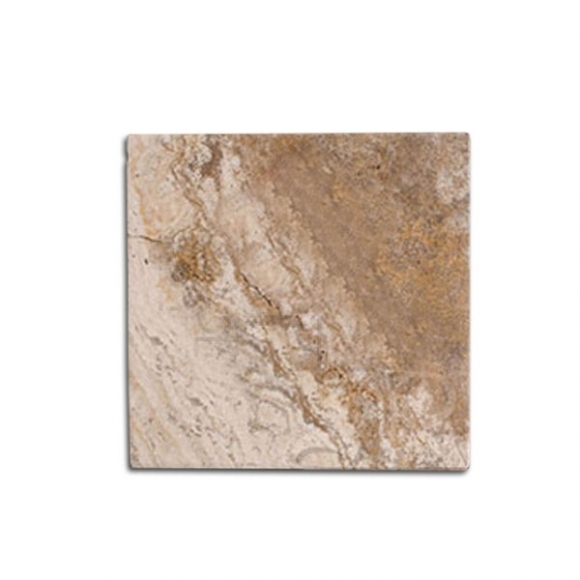 At Travertine Warehouse, our travertine tile options are meant for indoor applications in walls, the living room floor, bedroom floor, bathroom floor and even the kitchen floor. 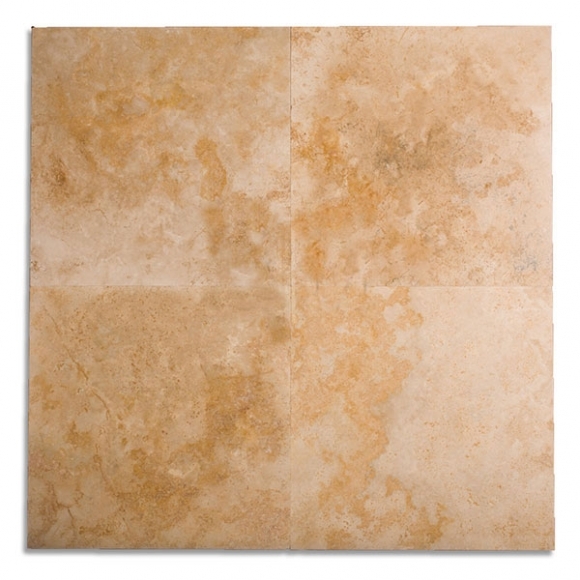 Our standard travertine tile is 0.5” thick. 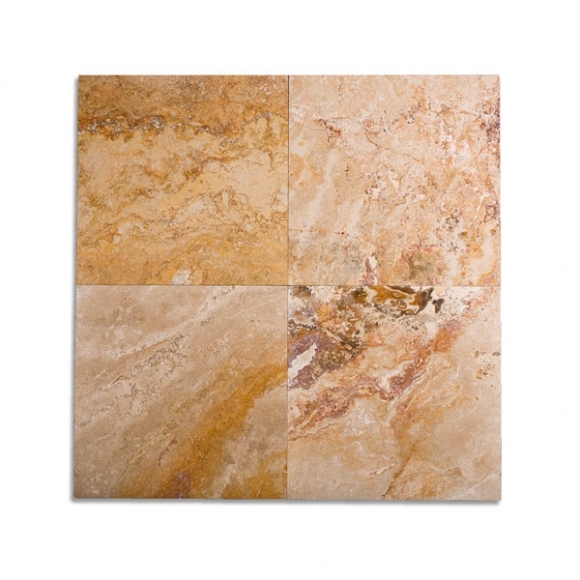 Travertine tile sizes for indoor use in a floor usually come in French Pattern sets comprising of 12” x 12”, 16” X 16” and 18” x 18” size pieces. 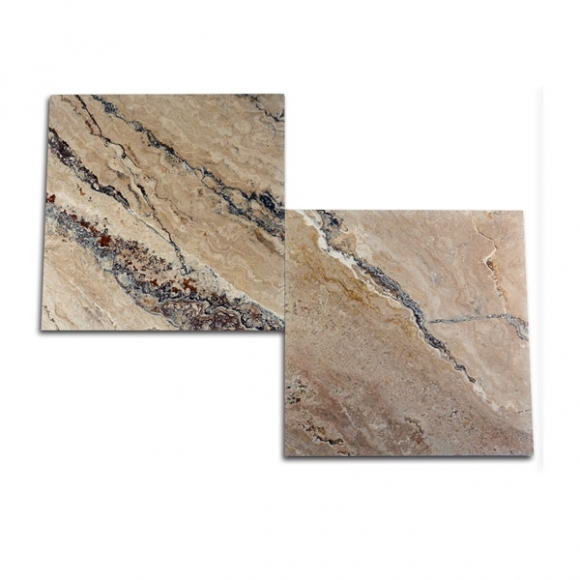 The 24” x 24” size is gaining popularity in modern American homes. Travertine floor tiles are also a viable option for pool decks or outdoor flooring in order to contain material costs as a travertine floor tile is more economical than pavers. 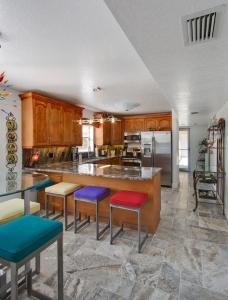 A travertine floor tile is durable and sturdy. As a stone floor tile, it is also easy to clean and maintain. Should a single floor tile break or be damaged, they can be easily replaced without ruining the look or design of the entire floor. Their neutral color tones and travertine’s rough-hewn look adds texture and appeal to the floor. Ease of installation and easy upkeep are also factors for travertine’s popularity as a flooring material. Stone flooring is a great investment, and not just for their durability and looks. They significantly increase the aesthetic appeal and market value of a property. It is easy to clean making them a viable option for high-traffic floor areas. 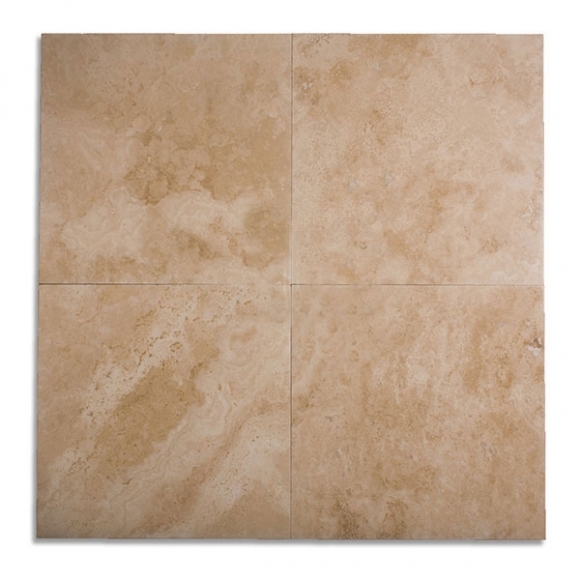 Travertine blends easily with other colors and virtually any decor style. It is the best value for money option for indoor use, particularly on the floor of living rooms, bedrooms, bathrooms, and kitchens.